Continuing were the Part 2 of this series left, here well talk about the presence and imminence of horrors. Sometimes it's not that we don't know what something looks like, but that we don't know where it is, and that can be a frightening experience. On the contrary, keeping our eyes on the threat makes us feel more secure about it. By looking at the source of terror we have a steady stream of information coming from it about when (imminence), if (intention) and how (nature) it will try to do anything that puts us in danger. If it moves, we'll know right away and react on time. If we don't have access to that information source, we cannot reliably evaluate the situation, and our minds will try to make up for that, again, extrapolating the limited information we have. 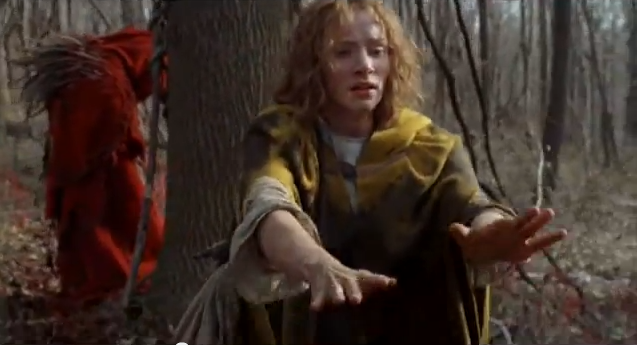 The feeling of being hunted, being preyed upon, being conspired against. Unknown presence goes beyond the simple spatial meaning of the word and ties closely to the notion of intention. More generally it's hiding itself entirely, but it could be concealing a weapon (unknown intention) or disguising it's nature (uncanny image) and the principle is still the same: that if it's hiding something, it's up to something bad. In the more literal sense, the unknown presence most often tied with an unknown imminence. If something is possibly preying on you, it can attack you from anywhere (presence) any time (imminence). For that reason, the line between unknown presence and unknown imminence can be very blurry at times. But the feeling of being preyed upon – which is the most obvious use of this tool – elicited by our natura survival instincts (Player-Mechanics) is not the only form of unknown presence, there are other ways in which not knowing the location of a threat can be used to keep players on their toes. Slenderman: you never know where Slenderman is, not until it's too late. When the situation is inverted, and the player is the one sneaking around, it's also of extreme importance to know the whereabouts of the threats one's trying to remain concealed from. Acting undetected is a situation where more than anything else, information equals power. The presence of threats and the presence of the Virtual Player-Character are very connected things, as the fear generated by not knowing the presence of a threat is caused by being unsure about how to avoid it. By providing extra-sensorial sources of information (motion scanners, x-ray vision, understanding the alarm state, visualizing the foe's cone of vision...), Stealth Fantasy titles empower players with everything they need to overcome the puzzles presented. Clear light and shadow delimitations convey to the player where the binary safety and danger spaces meet each other, enemies are set up to contrast with the environment and walk in repetitive and predicting paths (known presence), and flashlights portray the angle and range of their vision. In our specific case, where our focus of study is trying to understand how the Dynamics of fear emerge from the Mechanics of imperfect information – Fear of the Unknown –, what we have to look for is how the lack of that power affects the informee's (Real) mind-state when present in a context of (Virtual) danger and (Fictional) horror. So let's see what that perfect information does for the player first, ignoring for now whatever are the Aesthetics used for providing that information. When given perfect information in a stealth-action situation, the players are able to understand the borders that divide safety and danger, the limits of the space they can use and the amount of risk they're subjecting themselves to at any given moment. As an abstract and independent Game Mechanic, avoiding a saw blade and avoiding a line of sight are no different (not until the player fails at it). Both are about staying in safe space, avoiding dangerous space and making your time in risky space as short as possible. The balance between safety, risk and danger, between safe space and unsafe space is the core point of stealth, concealment and, in our case, fear of the unknown presence. When the player doesn't have perfect information, the line between safety, risk and danger become blurred (vague) and the player can't be sure anymore about how much is the balance between safety and danger is in the situation. That specific feeling is the basis of everything we're studying here. One of it's more aligned interpretations of Fear Of The Unknown is the sense of unmeasurable risk. The less information one has to act upon, the more thrilling that act feels. It can be either exciting or stressful depending on the Mechanics (using "excitement" and "stress" very lousily to categorize many things here, "fear" falling the side of stressful ones). When you're willingly taking a gamble for the fun of it it's more exciting than when you're forced to compromise planning and safety to fit a rushed ticking clock. Imposing a time for the player's action usually results in a more stressing version of the thrill. But when the free will ("player agency") is not about time, but about space (or resources), a different thing happens and the weight of responsibility kicks in and suddenly being in control of one's own fate is the very source of stress – that's what makes Video-Games such a perfect format for Horror, as only this format can mimic life not only in Form (Fiction) but in Function (Virtuality). When you already checked every side route and realize the path that progresses the game is the only route left to take, to venture through the Unknown, that's scary. If the player can simply blindly trust the designer/writer that nothing bad will actually happen in the Real or Virtual layers of the experience, and can simply keep going forward into unknown territory recklessly, the weight of that responsibility is gone. What happens is that again, there are no unmeasurable risks to be taken if all the risks are considered under a known threshold of "balance" that assures Virtual safety, even if Fictional danger still takes place – up to discussion if Plot Armor and Fictional danger can actually coexist, but since it's a pure-Fiction philosophic discussion I don't think it's worth pursuing. The same is true for assured Virtual danger, in case of successive failure that turns fear into frustration by taking the unknown imminence factor away by rendering players cynical to the possibilities of success. Without hope there can be no fear. If the players stop caring about what will happen next – whatever be the cause for it – then you cannot threat them with unforeseen consequences anymore. Note that it's an aspect directly related to the player's experience and is very dependent on who your target audience is, what expectations they have, if they have an understanding of game balance and so on. Some times it still clicks, some times it fails miserably. This puts us back in the "Survival Horror vs. Power Fantasy" spectrum and it's Game Design directives: should the player be informed for sure where the line between safety and danger lies? There's no one right answer, it always depends on what the design is trying to accomplish. When Fear of the Unknown is the goal, it makes sense to cripple the information given to the audience. Limited information, the word vague means for us here, and such is the vague presence. Not so little information to fall into the (unknown but acknowledged) unknown, but not enough to render the player sure (even if wrong, in which at the point of discovery of the error it'd become uncanny) of said presence. That way we can consider any evidence of presence, existing or not, to be of vague nature. The vague presence is what can be described as "the unproven evidence of a threatening presence". 2) The Horror and Suspense genres of Fiction come with clichés and tropes known to the audience, which give them a very good idea of what to expect from a Mystery, Suspense or Horror story. The combination of these two aspects makes otherwise strange and otherworldly things and events to be taken as normal within the Virtual and Fictional world of a Video-Game. Players know that art horror and terror will try to scare them. Players know weird things are expected to happen in Weird Fiction, that's why they're reading/watching/playing it to begin with. Those are aspects that supposedly should fall into the uncanny presence category in the realm of Reality, but under the rules, tropes and common trends of Horror Art in general and specially Video-Games, they're wide acceptance as "natural" things render the known and the uncanny into territory reserved to the vague. Important to make here is a quick distinction between "emergent unknownness", when the player simply doesn't have track of the threat's whereabouts – as studied in the unknown presence section –, and "scripted unknownness", when false evidences (poltergeist scripts) are given to the player. This section refers essentially to the latter. Giving clues about the presence of a threat but holding back visual confirmation allows the player's mind to imagine the proximity of a terror by completing the information puzzle, while still being unsure of it's actual presence (vague). This works both ways, some times for making the uncertainty frightening and some times for causing the player too see clearly through the smoke-and-mirrors design and stop caring about the fake threat that just wants to scare the Real Player-Character (the player) but not to hurt the Virtual and Fictional Player-Character (the avatar and the character). It's a tool that works well for many types of players, being specially effective when they're not much under the effects of Medium Awareness. For the most seasoned and self-aware players, the smoke-and-mirror design can lose all it's magic at the first realization of nothing being actually there (presence) and all that's going on is a combination script and audio tricks from which no Virtual (read "Real" inside the Virtual world) consequences can arise. Also, if there are Fictional-only "consequences", those are already decided in the player's fate by the interventionist god writers and there's nothing the Real Player-Character can do to stop them from happening, the players might ask "why worry about those anyway? whatever will be, will be". Ultimately, the goal is to make the Fictional world feel Virtual and the Virtual world feel Real. However the designer can pull that, and it works, that's great. Also, not having much experience with video games can do wonder for the first experiences you get to play. There is an audience segment that is just getting to know the hobby, that don't have the same burden of knowledge most of us do, with fresh and unspoiled minds to what's possible, and we can and should totally target them too in some of our works. I remember back in school, my friends speculating about who or what takes the dead zombie bodies away in the first Resident Evil while you're in another room. Such a mystery remains unsolved. When used correctly, the vague presence is a very powerful form of the Closed Door device, which makes complete sense because the Closed Door device is also a form of vagueness and unknownness: a missing link of information that the player's mind will extrapolate (Player Mechanics), rendering the whole experience (Fictional, Virtual and Real) closer to feeling Real (Dynamics) than if the complete information was simply given, which would fail to create immersion (Dynamics). I know some of you might dislike the "immersion" word due to conflicts about what it means in terms of depth and nature, caused by the common confusion with Cognitive Immersion (which's what I mean), Sensorial Immersion (The Matrix), Deep Immersion (not knowing it's The Matrix) and Liquid Immersion (ha!). While the use of the vague presence can be to make it seem like there's "something" around (and how it can fail if not used with care), the best effects come from the application where it goes beyond adding a something to the existing Virtual world, but when it adds a Fictional world to the something. And here's a question: the extrapolated portion of the Virtual world, created by the player's mind to fill the information gaps and give consistence to the rules, is it Fictional, Virtual or Real? The fact that it's hard to define only hints at how powerful it ultimately is. It goes beyond Video-Games, being present in Film, Comics, and Literature. It's what makes all Fiction feel Real, and it's the best goal to look for when using any tool. I saw something... It is right there... in the outside. What worked a decade ago doesn't necessarily work today, but the principle still remains and can be adjusted to fit todays savvy player's perceptions in order to weed out the designer's hand and give the Virtual world a sense of natural and seamless continuity that really feels like it goes beyond the play-field. Again, it wouldn't be fun if it wasn't challenging. Other case of seemingly uncanny presence turned into vague presence in the realm of Video-Games is the relationship of the uncanny with the idea of disguise. At the heart of it, that's what the uncanny is and why it scares us: something disguising itself as something else is always creepy and dangerous. It cannot have good intentions. The line between the idea of something disguising itself and of something disguised by design is another blurry spot when it comes to things that happen on the bridge between Real and Fictional (it is, the Virtual). In which case, while the uncanny image is seemingly natural in aspect and keeps things clear, something trying to disguise it's own presence is a product of its behavior as opposed to it's nature and can be looked at as either vague or uncanny, all depending on how the player perceives it. True uncanny information is not supposed to make sense. In fact, it makes too much sense for things that cannot be. Some times to be more than one thing (as in the "doll or human" uncanny image case). Needless to repeat, once stablished by the medium that the Virtual rules and the Fictional rules are not the same (Ludo-Narrative Dissonance), there's no such thing as "impossible" anymore, and the otherwise uncanny can sometimes become the "normal", some times even when the really weird things happen. But the uncanny is never alone, is always comes after the known and subverts it, and that's why it still works. As mentioned in the first part of this series, the uncanny is many times viewed in media as a form of "plot twist", but it's not necessarily the only form of it. For those reasons, a common use of the uncanny presence in the Virtual world of Video-Games is the "ghostly appearance", when the player sees something that isn't really there. A ghostly appearance can have many different Fictional explanations, from actual ghosts, to visions, to hallucinations and so on, but Virtually they're the same thing. First the players sees something or someone spatially positioned play area, which's sufficient information to conclude it's there (known presence), then latter comes the realization it's not actually there, or has never been, and the previous information is proven wrong (uncanny). Coming from the "plot twist" connections of the tool, it's one that works better the first few times it's pulled, before it becomes a "known absence" or "known false presence" for the informee, which can make it either fail as a form of uncanny presence, but also gives the design a new opening to subvert the current status of information back by making the "false" appearances be real the next time around, reestablishing the uncanny presence. Point-man sees Alma multiple times through the game, usually as a ghostly appearance, but sometimes she is true, either in spatial presence or as an invader of the Fictional character's psyche. If "weird stuff happens in Horror Fiction" and "Video-Games usually break consistency rules" are unavoidable tropes, it only means "normality" and "rules" aren't forms of the known that work well to be simply subverted into the uncanny. But information is limitless and there's always a new jumped-to conclusion to twist. Using uncanny image effectively is certainly easier than to do so with uncanny presence, that's because Fictional and Virtual image are essentially the same thing, but presence can be more dissonant between worlds layers. The lack of Mechanics in Fiction (specially the uncontrollable forces that are Player-Mechanics) makes everything easy and allows the designer to pull many forms of uncanny presence by using them exclusively in the Fictional world as, with anything Fictional, it's no different (nor harder) than using the same things in any other art-form capable of portraying Fiction. The "ones we don't mention" exist. Then they don't really exist. Then they actually show up on the screen. But the character that "sees" them is blind, so maybe they're only in her imagination. Or maybe it's not just in her mind and it is actually there... is it? This is a tricky example to truly replicate in the Virtual world, as you can dictate a Fictional-Character's mind, but not a Real-Player's one. Isaac's mind is disturbed and he keeps seeing his dead girlfriend. At all times, the Real player is aware of it, but for Fictional Isaac the hallucinations are very real the moment they happen. Some times, there's a Virtual aspect to it, when the girlfriend's actions is in fact Isaac's, another Fictional character or a Virtual enemy, in which case a Quick-Time Event tells the player what's happening. Clearly the great goal and the most interesting challenge is to perfectly blend the Fictional and Virtual world, making everything that "happens" to do so in both, and feel as Real as possible to the player. But when design is somehow constrained out of that option (for whatever reason it might be), the Fictional uncanny presence stills adds to the experience, and should still be employed given the opportunity. Some times, simple but clever tactics can be employed to achieve the effect of blending worlds, without going to extremes. Making what happens in the Fictional character's mind to exist as real in the Virtual world is a way of doing that. Other options are to use the software to read' the player's reactions to appearances and judge if he treats them as real or not, and go for the opposite in order to subvert his expectations. In Dead Space 3, co-op player's are transported to different versions of the Virtual reality, by hallucinations fueled by each Fictional character's own internal demons, and each Real player sees a different situation developing in their screen, while still faced with real Virtual conflicts. Fear of unknown imminence is the fear of the unknown future. More than just the consequences of a risky action, but the unforeseen and unexpected event that's out of one's control or when you know something will happen, just don't know when and you cannot impede it. Following the norm of analyzing the most common forms first, we can observe that usually in Horror Video-Games, what the players don't know in this case is the moment something will jump out or make a loud noise with the purpose of startling them. 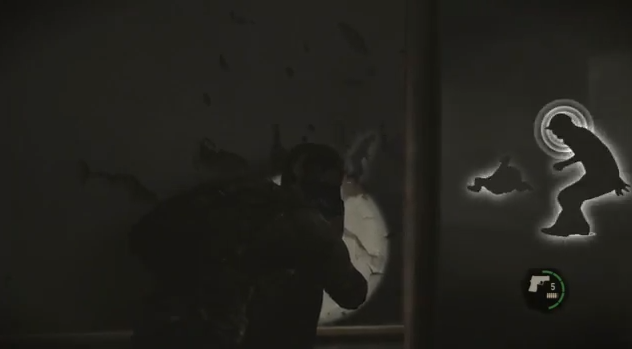 The "jump-scare". There are other forms of jump-scare usage that don't necessarily involve something jumping at the player (floors collapsing bellow the avatar are another common appearance) but the forms of holding and releasing information are the same. The use of this tool is most common in Horror Video-Game segments that strive for startling the (Real) player. This is done by submitting the player to a core loop of anticipation, surprise and relief, of which the first one (anticipation) usually compromises most of the play time, followed in time by the third one (relief), while the second one (surprise) starts and ends very quickly. Sometimes when this tool is used it does so while wasting the potential of an otherwise powerful moment of reveal, spending it into a mere jump-scare when the information being revealed could have had a greater shock and more lasting impact if not obfuscated by the quick-come-quick-go startling effect. There's a physiological limit to how much emotional response the human body can sustain at any time, it's not like our blood could be completely diluted by Corticotropin (we'd literally die of fear way before that), and there's also a psychological limit of how much each layer of consciousness can focus at any given time and more urgent matters will overshadow more delicate ones. The Real adrenalin pump of a jump-scare is immediate, and can easily take away the precious attention a shocking Fictional moment might require from the player to understand the depths of the horrors he's in contact with. This is a tool that's very easy to make use of, and that's effective for what it proposes to accomplish, but that quickly falls into the traps of losing all it's positive effects when combined with the Genre Savvy Player-Mechanics. The biggest downside of the jump-scare design tool is that the Dynamics that arise from those Mechanics can fall into the meta-game category, or in other words, into a Real-world game detached from the Virtual and Fictional worlds. Once the player is focused on a loop of Unknown Imminence (anticipation, surprise and relief), it leads to him/her to fear the possibility not being prepared for it when it happens. Exactly what happens or what jumps out of where isn't really important to the player. It's all about being or not being prepared for when it happens. The player then engages – consciously or not – in a self-imposed Meta-Game of either: a) trying not to be caught by surprise by the game; or b) overplaying his surprise with jumps and screams. The player starts to "fear" (anticipate) being startled by the Video-Game (Real piece of Software) instead of being scared in the Video-Game (Virtual and Fictional world). By the point the player is meta-gaming, he's not in the Fictional and Virtual slices of the Video-Game's world anymore. That's an important distinction to make, and it's equally important to define what the design is aiming for. Both are valid design goals, what matters is if the design achieves what it's actually trying to. While jump-scare design can raise your heartbeat and pump adrenaline in your system, it's not exactly the same as Fear, and not the same as fear inside the Virtual and Fictional world, but instead of Apprehension in the Real world about the Video-Game as an entertainment product and disconnected from the Virtual and Fictional world inside the Video-Game. Apprehension can become Paranoia but it's also not exactly the same as Fear – unless, or course, you have Hormephobia, then that's a different story. 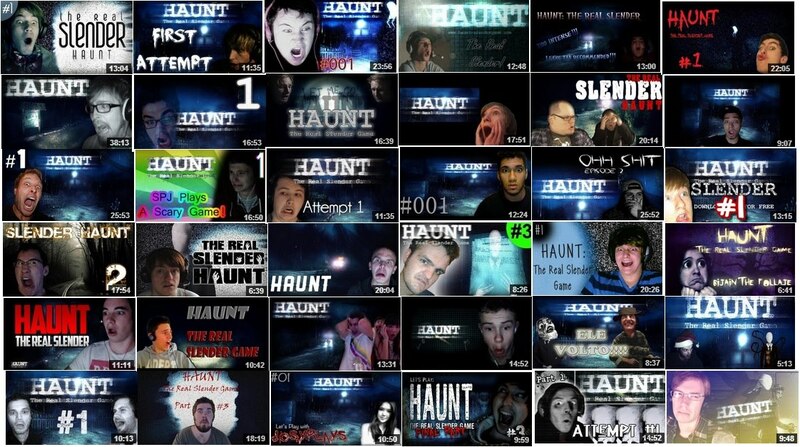 I want to point out the fact that it seems very clearly to me, that horror movies seem to have a lot more acceptance from usage of jump-scares than Video-Games do: jump-scares in movies are "cool" and "scary" while in Video-Games they're boring, lame, lazy and cheap. I guess that tells a bit about the difference in audiences and audience expectations, which in my opinion is good that Video-Game audiences put the bar higher and don't accept lazy design. I won't dive much into that, just leave it here for consideration, but also add to the note that horror novels and other written stories don't have that card in their repertoire, and their strength lies in other, more immersive and elaborate tools. But not everything about surprise and jump-scares is flawed. They work as, though very short-term, fear catalysts because the human mind allows it. Humans, in general, worry too much about things that will never happen, and about things that already happened; some do so to a degree bigger than others. Once you get surprised and see what just "jumped" at you, the shift from unknown to known is too fast and brings too much information at once. This is what we call a shock. Despite the very visceral and immediate carried information about intention that it's something attacking you – which initially works regardless if it's correct or incorrect information, but that we as a fit species also adapt to and quickly learn if it's just trying to scare us instead –, it also carries the revelation that we did not have sufficient information about it coming to happen prior to the moment. This causes the fear of unknown future (Paranoia) to now be boosted with fear of unknown past. Yes "fear of the past" and "unknown past" are both illogical sentences, but that's because "worrying about the past" is also illogical yet humans do so. Neurotransmitters simply defy logic, and exploiting these openings remains an effective strategy of Game Design until the audience adapts and develops immunity to such strategy. Sometimes, the fear of unknown past can come alone. That's when a jump-scare is not preceded by Paranoia (the future version) which means that the player is not expecting it. It can be good or bad depending on the player. The potential to break immersion and pull the player into the meta-game is the same or greater, it'll depend on how self-aware the moment will be for player. If the the player thinks "the 'Game scared me", or "the 'Game got me" (even worse, this means the meta-game is already going on), it's a failure; if the player thinks about the moment within the Video-Game's world, it's a success. That is, unless it's the design goal anyway. Being scared by a Video-Game and being scared by the world of a Video-Game are very different things, the former only involves the Real dimension of the Player, the latter encompasses the entire Player-Character construct in the Real, Virtual and Fictional dimensions. It's important to note that not every shock classifies as a jump-scare. But the usage of cliché jump-scare sound effects and similar tricks can bridge the gap and degrade a shocking moment into a jump-scare even if it doesn't classify at first. It's like screaming, swearing or pulling the troll or nazi cards in a discussion: even if you might be initially right, you're acting like people that are wrong do (i.e. being emotional), therefore you're wrong regardless. Over-playing a shocking revealing moment into a mere jump-scare throws lost of good work and potential down the drain can be a huge waste. While it's true that some players like to pretend to be surprised, immersed and scared by anything and some just blame the consumer instead of the designer for when it doesn't work, I prefer to think it's always our fault when it fails. Making Video-Games is a hard game, and that's a good thing: it wouldn't be fun if it wasn't challenging. As with all the vague packagings looked at so far, the vague imminence is the event in which the informee is teased with a possibility of something happening and an approximation of the idea about how close it's getting. It's still not known, but not certain either. Contrary to the unknown imminence, this is not the kind of suspense where you cannot see it coming (even though in practice the opposite is most times true, because clichés and patterns are predictable in nature) and, more importantly, what's coming. That's the key point that differentiates the vague imminence and the unknown imminence: you know what is about to happen, but not sure if it will, and what precise moment. This tool is very commonly used in Fiction media, specially effective in film with it's visual and cut language, and the characteristic of Fiction of being able to give the audience information that the characters – or the enemies – lack. 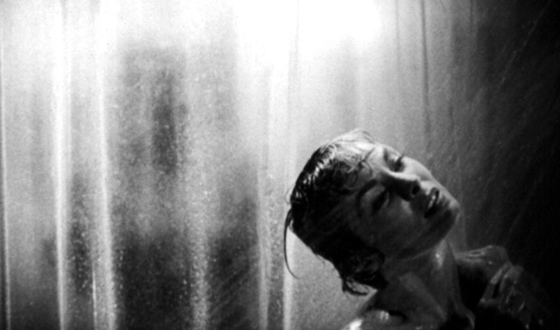 In the classical shower scene of Psycho (1960), the audience (Real) has information the character (Fictional) doesn't. The approaching moment fuels the audience's fear of the imminent events. 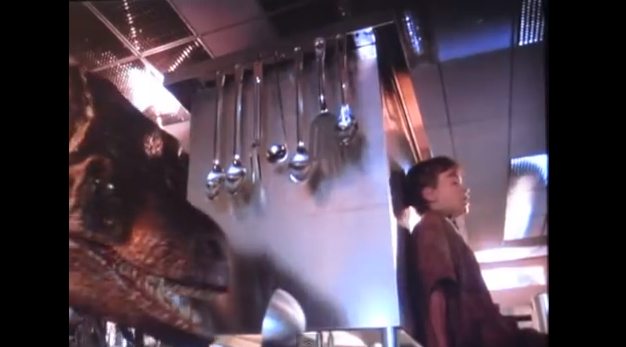 In the also famous kitchen scene in Jurassic Park (1993), this time the audience has information the antagonist deinonychus lack. At any moment now, the ferocious hunters could spot the kids. Clearly signature of Spielberg's style, the vague imminence is present in many of his films. The uncertainty of the outcome combined with the acknowledgement of what the result of such suspense, and how close (imminent) it is to be fulfilled, is the source of the audience's fear. The difference in tangibility of the imminent danger created with the vague information contrasts with the effect of paranoia created by the unknown counterpart. 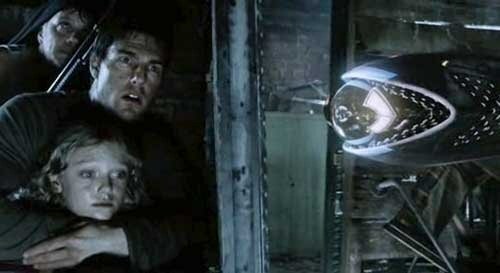 The context created by the source of danger helps pulling the audience into the Fictional world (as long as plot armor doesn't go to far to build disbelief), avoiding the effects of meta-scariness characteristic of the jump-scare tool employed by the unknown imminence. By this point you must all have already notice the trend of stealth-action situations directly tied to most of what the tool is about. This is a truly powerful combination, specially when it gets across the line where Fiction ends and Virtuality starts. The stream of adrenalin caused by the act of sneaking around is a strong, Real addition to Fictional Aesthetics of the horror atmosphere and the Virtual danger of getting caught by the enemies in the Video-Game's world. What results from the combination of all those factors is a thrilling experiential product only Reality can surpass. Even with full top-down view and super powers, the unpredictability (unknown imminence) of randomized patrol paths, added to the knowledge about how close it is to happen, make this game a very thrilling stealth-action experience. Across the analog path that goes from unknown to known lays the vague, many variations of it, and there's a form of Suspense that works exactly by moving along that path, from the unknown and towards the known. At some point it gets so close to known that it becomes uncanny in nature. I like to call it "bold suspense", because it's a very confident tool of horror design. When the subject of horror is a tangible thing, it uses known or uncanny image and presence throwing away many tools and leverages given by the most powerful assets of unknown horror design and goes all out on the confidence that the subject is all that frightening in and of itself once the tricks are all dropped. It's also a staple of the climax pacing event, which eventually all horror and mystery lead to. That form of suspense is what we could call "dramatic pause". First, it doesn't have to be a literal interpretation of a binary pause, but rather a form of delaying the outcome of the horrific situation. There are multiple small variations of how to pull it, like the "waiting horror" that stands on there, which deals with uncanny intention (and other natures of uncanny packaging) to delay the threat's move, and the "slow moving horror", which slowly get's closer and closer to the victim character/agent. The "waiting horror" has a direct link to our primal survival instincts (Player-Mechanics), by mimicking the behavior of wild predators, in the preparation for a deadly lunge and in the creepy act of stalking a prey. It also increases the sense of danger to have a pragmatic predator opposed to a mindless one. Packs of wolves and hyenas derive many of it's efficiency at survival by minimizing their own risks, making them able to catch preys stronger than themselves, otherwise impossible at a direct confrontation. Like wolves and other canines, vultures also calmly follow their preys for days, beating them in an endurance contest, patiently waiting for them to extinguish their energies in other to maximize the effectiveness of the attack, only committing when the success is guaranteed. Similarly, the "slow moving horror" hints our instincts (Player-Mechanics) into the dreadful acknowledgement that the predator has it all under control, while also capitalizing in the "ticking clock" embedded Mechanic and the Dynamics it creates. That's another example of the importance of keeping Player-Mechanics (which happen in the Real world) in mind when design horror. Ability to strategize and confidence to act calmly make any predator a much more deadly encounter, and this is something we know at an unconscious (and irrational) level. If the rest of the experience does it's best to remain immersive. I won't get deep into this subject here but, in my humble opinion, "immersion" is what happens when your mind is too busy playing the game / reading the book / watching the movie to remember it's one. Different people in different moods have different amounts of parallel mind processing capacity. As long as an experience can exceed that capacity and nothing too wrong and obvious forces it's way into the priorities, all the Real-world thoughts will be filtered out of the most conscious layers of the mind, and that's how immersion is sustained. Don't let your players have spare resources laying around so that they can be used to see things you don't want to be seen, and don't let said things climb the priority queue. Keep your players too busy in the Virtual and Fictional worlds to afford thinking about the Real one, and they won't. How much is "busy enough" varies from player to player, some are so used to the most basic things that they become second nature. Some can be engaged enough (sometimes even overwhelmed by) just holding forward and looking around, while others can be rocket-jumping through the stage and not even think about it while they do so. It's true that slow enemies are a compromise of balance design in horror games of early generations due to the limitations control schemes, but with them came many positive side effects lost in today's games due to advancements in technology (as mentioned in the vague image section of the Part 2 of this series). But the thing is, we don't necessarily have to lose those tools, just try to understand them and find ways to make them work in today's and future's context. I bet you didn't expect to see Rayman in a horror-related article, but those players certainly did expect what was coming at them, slow and steady. The closer it gets, the more the players panic and end up screwing up something they'd easily solve by staying calm. 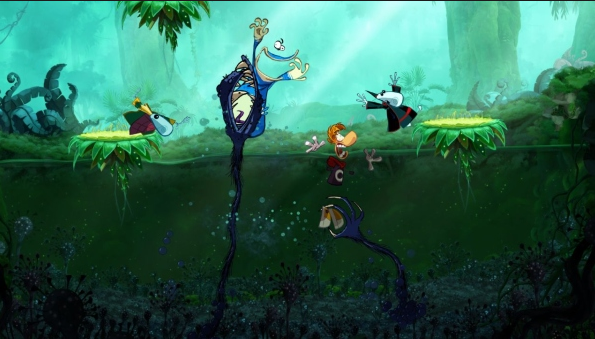 In the Rayman example above, the two-dimensional side-scroller view allows the players to measure the approximation of the creepy slow-moving hands with precision and the closer they get, the closer the initially vague imminence moves towards the known, painting the whole moment into the realm of uncanny. The uncanny imminence of the slow approximation and uncanny presence of coming out of the TV and of teleporting around at times are combined to increase the effects of both, giving a final result that's better the sum of its parts. The video above is also a good example of not failing into that trap of the use of jump-scares possibly undermining the shock effect of a climax moment. If the scene started with Sadako (she's not called that in this remake) jumping "boo" out of the TV, that would have the audience jump momentarily, but the lasting effect of the scene could have been reduced into "that moment with the jump-scare". The known is similar to the uncanny but with – or rather, without – a twist: it's inevitable. When caused by emergent Mechanics, the known and the uncanny imminence can be two future possibilities of the same present, as the player might have a chance of turning things around to impede the events. The possibility space of a Virtual world when compared to the rigid nature of Fiction, makes it complex to define the differences between what will definitely happen and what can be impeded in the last moment. In the Jaws scene above, the known nature of the shark and today's audience awareness of the genre of Suspense in the medium of film certainly make the effects of uncanny imminence fade to a big extent (nobody said it's magical or will be trivial to use) into known territory (the audience can predict what's coming and there's no twist), but the composition of the scene fits the principle of the tool. An attempt to create the same scene in Virtual form would bring the situation onto the line between known and uncanny, as it'd be on the player's responsibility to hit the shot that will save him from that situation, with the possibilities premature success or failure, where design tricks to avoid both can always compromise the perception of fairness and the immersive potential of the moment. Anyway, the uncanny imminence of the shark is not the only imminence factor in the scene. It's the sinking ship, the last safe spot against the predator for which water is home, the true protagonist of the inevitable. Sure, killing the shark solves the real problem, but the ship is going down and nothing can stop it. If uncanny imminence is "bold suspense", the known imminence is "bold anticipation". It's the core difference between disarming a bomb and running away from the blast that defines the difference between the uncanny imminence and the known imminence tools, and it's the difference between seeing the bomb's clock ticking down or not that separates the known and the unknown. It's the knowledge of the inevitable outcome. If you've seen this sequence from Mission: Impossible 3, you might remember how this drone is portrayed as an unstoppable force of destruction, slowly maneuvering around to come back unleashing the next attack, with the aura of "inevitable" created by the known imminence. Fear Of The Unknown is a Dynamic, the result of ripple-effects created by the combination of the Player-Mechanics of deep ingrown human and animal psyche that exist to increase our chances of survival in the face of danger, known or unknown, Game-Mechanics that wake those instincts up to work in a simulation of Virtual danger, and Fictional Aesthetics that contextualize the cognitive connections of those instincts at work to create the negative space for our minds to fill, bringing Virtuality and Fiction into Reality. Each subject of information (image, presence, imminence, nature and intention), each information packaging and twisting (unknown, vague, known and uncanny) and each dimension of the Video-Game's narrative (Reality, Virtuality and Fiction) have their own characteristics, pros and cons, and functions in the system (Mechanics, Dynamics and Aesthetics) that makes the all-important player experience possible. All those factors, beyond creating the Fear Of The Unknown also contribute to the reduction of cognitive idleness, to get rid of opportunities in the players brains to look behind the curtains and spoil the magic of the media. Finally we reach the end of this series that took the span of three months to come out. I wish it would have been better, but hope it was inspiring to some of you smarter than me to come up with more polished and effective tools we can use to increase the quality of our designs.